The Consortium for Industrial Development of the Municipality of Monfalcone was established by state law n. 633 of 6 July 1964. Its main purpose is to promote economic development and to foster the arise of new business initiatives within the setting of industrial areas of expertise and of municipalities participating in the endowment fund. At the beginning of the twentieth century the economic and industrial development of the area culminated in the establishment of the Naval Shipyard of Trieste, which is still present in the area with its prestigious business by the name of Fincantieri. 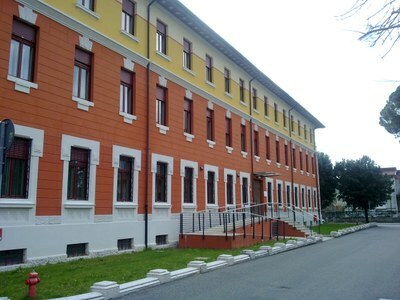 In this economic landscape characterized by an undifferentiated industry, in 1964, the establishment of the Consortium laid the foundations to ensure the diversification of the productive districts of Isonzo, encouraging the creation of a network of small and medium-sized enterprises that can be an alternative to the massive shipbuilding industry.